On Sat. 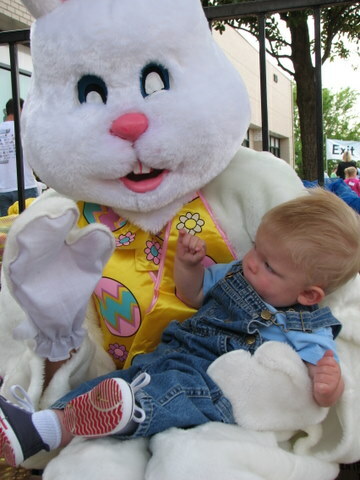 we checked out an Easter outreach event at a nearby church. Arriving early we avoided lines and got to do all the fun stuff before things got crowded. 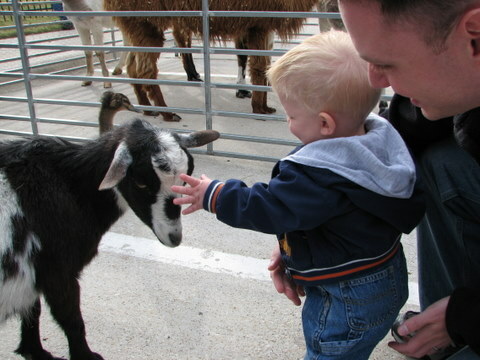 Lance loved the petting zoo – the pygmy goats were his favorite. 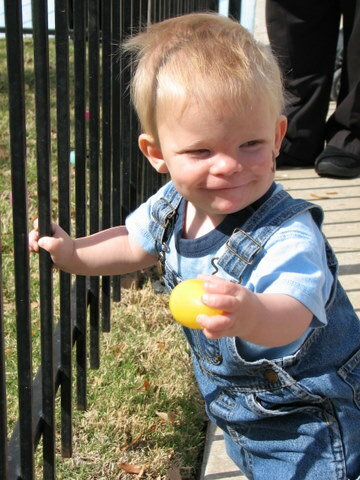 Lance wasn’t so sure about the Easter bunny, but he really liked “finding” an egg because the jellybeans inside rattled when he shook it. There were quite a few bounce houses which Lance could only look at, but in a special section for little kids they had a smaller bounce house where Lance and Daddy could have a little fun. Upstairs and away from all the noise was an “Easter Path” made of ten different stations where you could experience the Easter story. You could step in sand and wash each others feet, participate in the Lord’s supper, nail your sins to the cross and prepare a “flower” to celebrate resurrection. 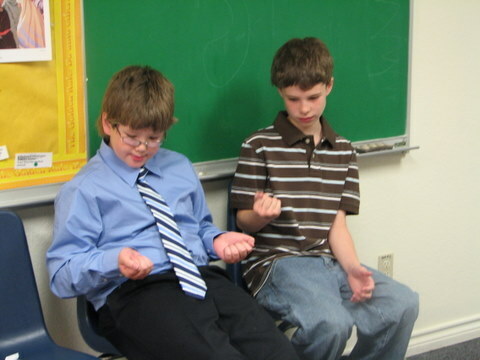 We really enjoyed this part and adapted it for our Sunday School class the next day. 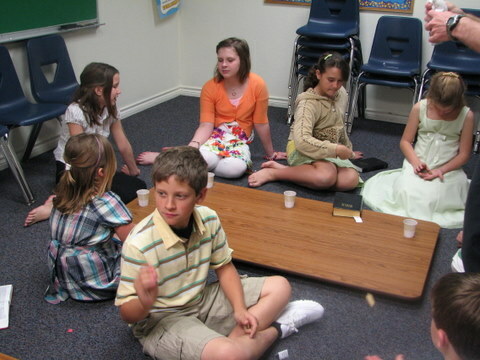 The class thought the foot washing was a bit strange, but once they got over the fact that Sunday School was not going to be “by the book” they joined in enthusiastically. Here the kids enjoy grape juice and crackers for the Lord’s supper. Holding ice as it melts while thinking about Jesus suffering on the cross. 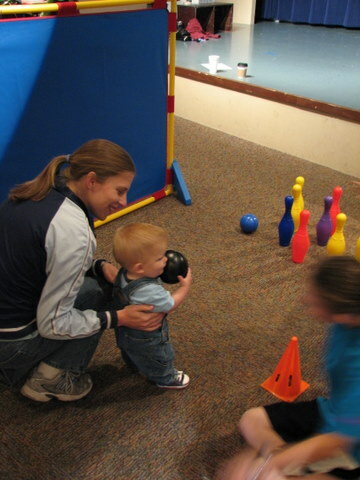 I think it went over well and I’m sure the kids will remember it for a long time.